The Group Internal Communication, as a function of the Group Communications Division, comprises the design and implementation of the actions relating to the communication of the Organization with its employees (from top to bottom and vice versa) and among groups of employees and organizational units. These actions are rooted in the vision, the mission and the principles abided by the Group, supporting and helping shape its culture. Intranet is a powerful tool of internal communication. The use of MyHELPe aims at optimizing the communication so that users can be directly informed of the developments, news and decisions relating to the Group. The Proposal Box empowers the engagement of employees by allowing submission of proposals enhancing the development and competitiveness of the Group as well as the improvement of our everyday working life. 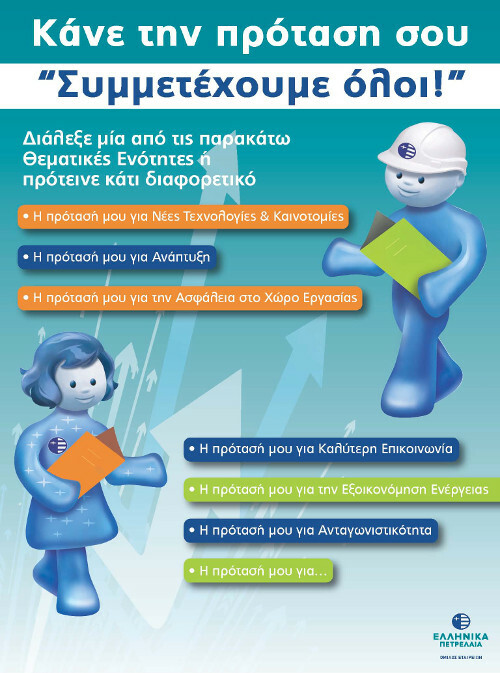 The Proposal Box is available to all employees, either electronically by e-mail or through physical ballot boxes installed in all buildings of the Group in Greece. Proposal Box motto: "All of us Contribute!" Since 2010, the Group mascots Petros and Elli brand and accompany many of internal communication actions and other activities. Through the "Green Office" program we promote a working culture towards a healthier and more productive workplace and, at the same time, we contribute significantly to reducing the ecological footprint of our Group. •Recycling of materials (paper, plastic, aluminum, batteries, old cell phones, used cooking oils, light bulbs, computer and peripheral consumables, gadgets, etc. ). Collection spots of recyclable materials exist in all buildings of the Group. 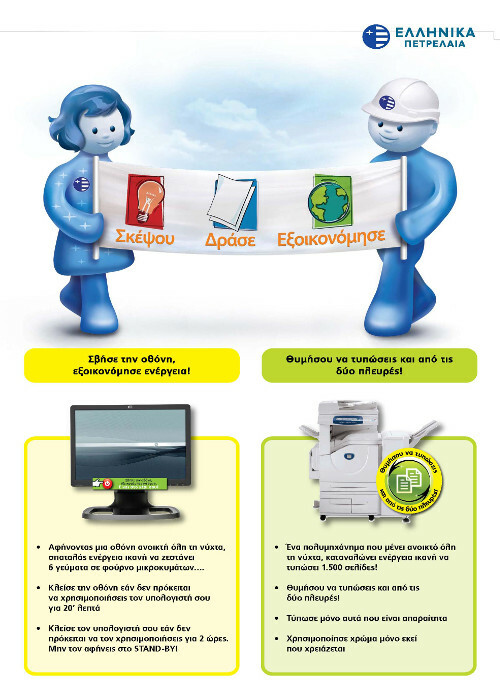 •Reduction of energy consumption through alert messages on printers, computer monitors and through MyHELPe. 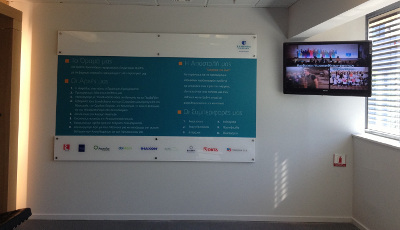 Communication is also supported by continuous news’ updates on bulletin boards, as well as by making use of posters, videos and banners for informing, educating and updating the employees on a regular basis. Email dispatching to the employees for their direct information on a variety of important topics/news. We organize meetings with targeted audiences in order to inform them of the strategy, objectives and the initiatives of the Group. We conduct internal surveys through MyHELPe, in cooperation with other organizational units, on general and special issues in order to gather important information as well as to enhance employee participation.